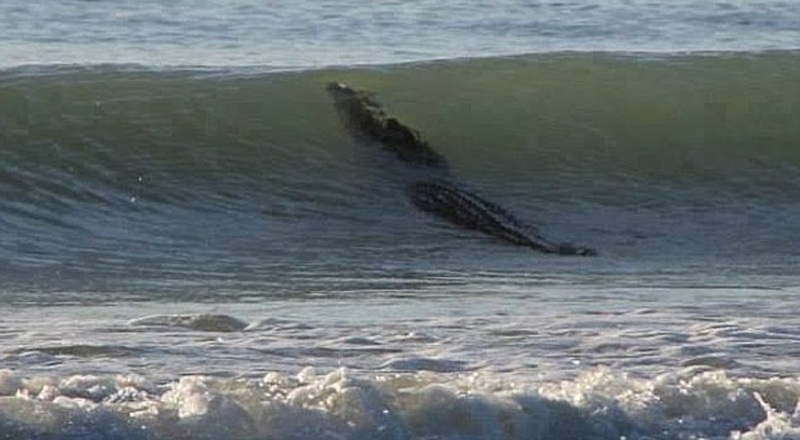 A salt-water crocodile up to four metres long found 'surfing' on Broome’s Cable Beach, in Western Australia - a popular Australian beach on the weekend forced the authorities to close the beach for the public, reports Mail Online. By Sunday morning, the crocodile had moved on. Parks and Wildlife senior operation officer Dave Woods said he believed it was the same crocodile that had been spotted in a number of locations in the area around December.